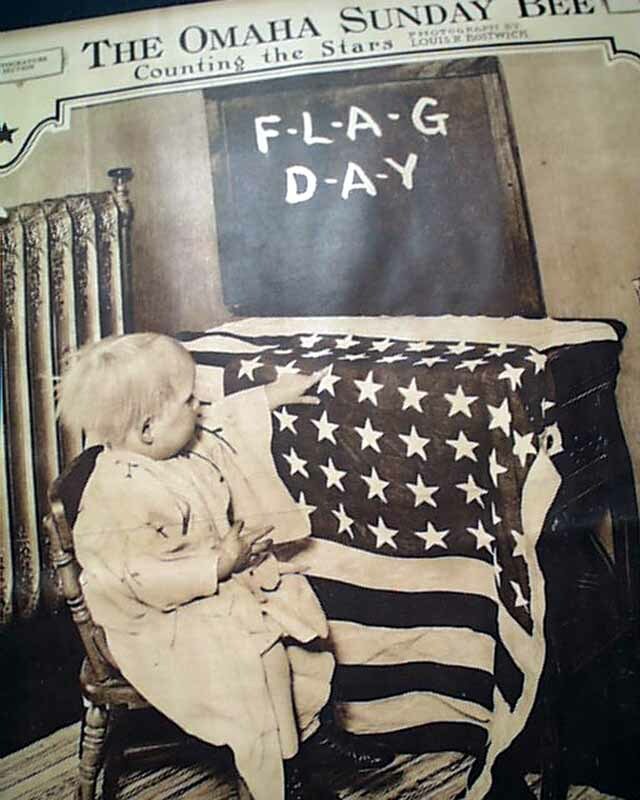 The front page of the Rotogravure Section contains a full page image of a young child "Counting the Stars" of an American Flag. Above the child is a black board with the words: "F-L-A-G D-A-Y." The section is complete in 2 leaves (for pages) and is in very good condition. A recent post on the History's Newsstand Blog, in relation to this print, states: "One of the understated, yet profound beauties of the American experiment is self-government is not that everything is perfect; rather, its the built in mechanisms which enable peaceful positive change over time. At time the wheels of progress move all-too-slowly, but they move. The presence of political and social tension are not signs of weakness, but are part and parcel of how we function in a (hopefully) civil, free society. For most the flag represents not perfection - but the ideals which provide avenues for change. 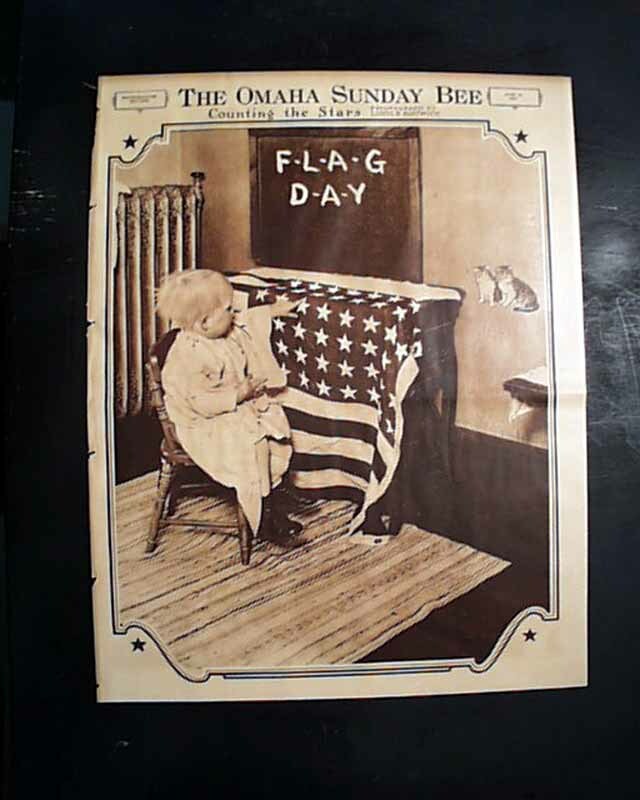 It is with these thoughts in mind in the face of current tensions that I was struck by the innocence of the moment captured on the front page of The Omaha Sunday Bee's Rotogravure Section for June 12, 1921. Something about it seems pure and right. Whether you agree, or agree to disagree, perhaps a day will come when our children, or our children's children, will pay the ultimate sacrifice to protect our right to do so. Happy Flag Day!"